Having earned a significant 2-1 first-leg win away to Sevilla in the UEFA Champions League quarter-finals, Bayern Munich will now look to end the challenge of their Spanish rivals and advance to the tournament's last four. Bayern only met Sevilla competitively for the first time in last week's first leg, but James Rodriguez, Arjen Robben, Thiago, Javi Martinez and Juan Bernat were already schooled on Vincenzo Montella's charges. James, for one, has scored more career goals against the 2018 Spanish Cup finalists than any other club (four in ten appearances), winning nine and losing one. In fact - barring Martinez - every single one of Bayern's ex-La Liga contingent boasts a positive record in games against Los Rojiblancos. 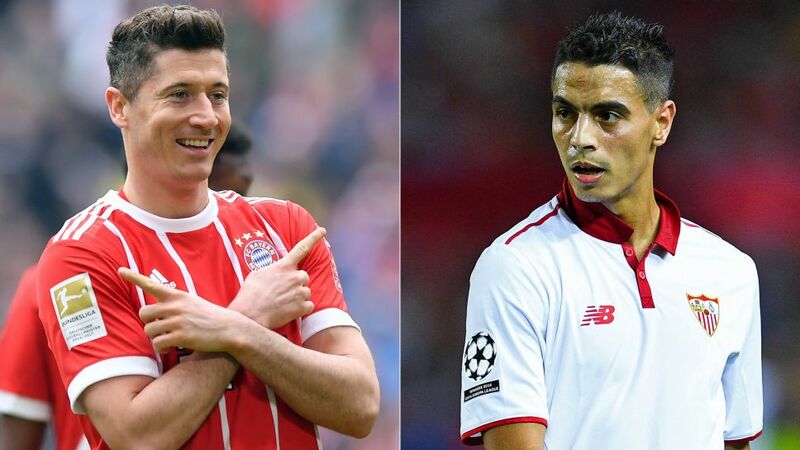 Sevilla are used to taking a rollicking from Lionel Messi and Cristiano Ronaldo domestically, but up against Robert Lewandowski they'll be jumping out of the frying pan and into the fire. Bayern's prolific No.9 has 35 goals in 39 competitive appearances so far this season, and is firmly on course for his third Bundesliga top scorer's prize. Lewandowski, who lost out to Bayern with Borussia Dortmund in the 2013 final, has also netted five times in eight Champions League appearances so far this term. Since the foundation of the Champions League in 1994, Bayern have only failed to qualify for the tournament on three occasions. They've only gone out at the group stage once, but have reached at least the quarter-finals 17 times, winning the tournament under its current guise twice. Sevilla, who won three Europa League titles in a row between 2014-2016, are appearing in the last eight for the first time, at the fifth attempt.